A large, light flogger that can deliver mild-moderate impact. This flogger will tend to be stingier than it’s full-weight sibling, but can also deliver milder sensations as it has less weight. 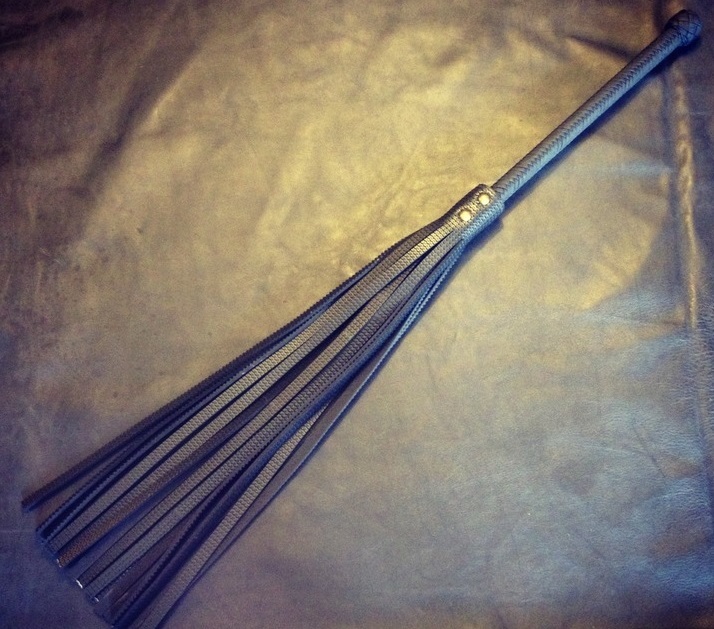 If you choose a long handle and wide falls, this flogger behaves more like a flail. Be the first to review “Light Large Flogger” Click here to cancel reply.